In case you haven’t heard, the Chicago Cubs won the 2016 World Series! 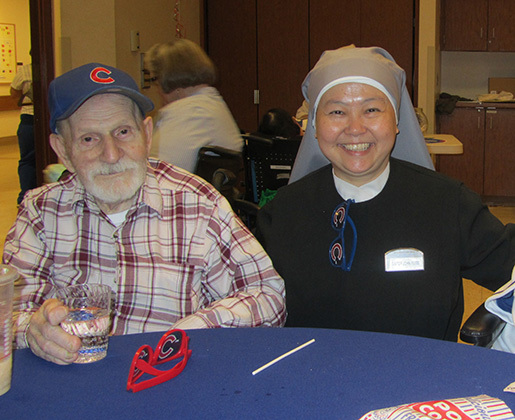 The Residents of St. Mary’s Home – along with the North Side and all of Chicagoland – rejoiced in the early hours of November 3, 2016 that the Cubs after 108 years finally won the coveted Championship. In the five or so months since that big night, the Residents’ enthusiasm for their beloved Cubbies did not wane at all and the anticipation for the new season only grew. So many of them raised their families close to Wrigley Field – went to the games as a kid themselves and have their absolute favorite player with the jerseys to match. That is why the idea for a Cubs Opening Day party was conceived. The big day – April 10! 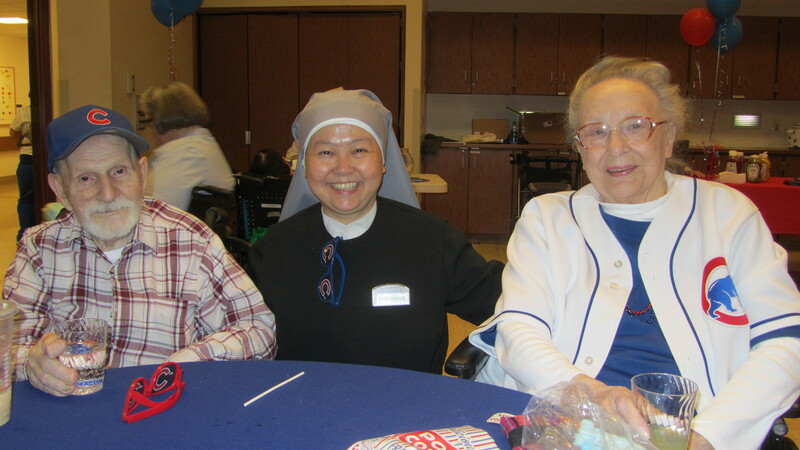 The Residents at St. Mary’s sponsor fundraisers throughout the year for special causes. They have bake sales and chili lunches where a group meets in the morning to chop onions, debate recipes and make desserts. Tacos (a lot of chopping involved with that!) is a very popular lunch special. They are mindful of their good fortune and wish to help others. 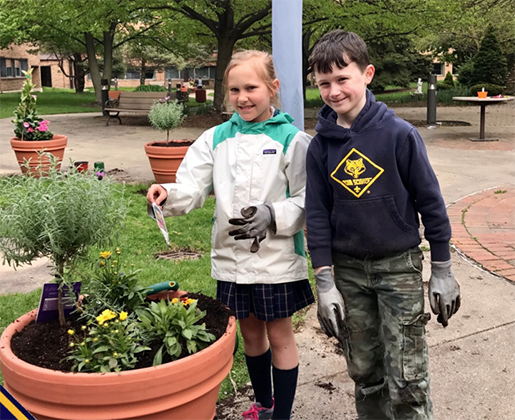 Some of the recipients of the Residents’ efforts have been – Smiles (assisting with surgery for children with cleft palates); Rosary Makers; PAWS (Chicago-based pet rescue); Wounded Warriors and St. Jude’s Children’s Hospital. 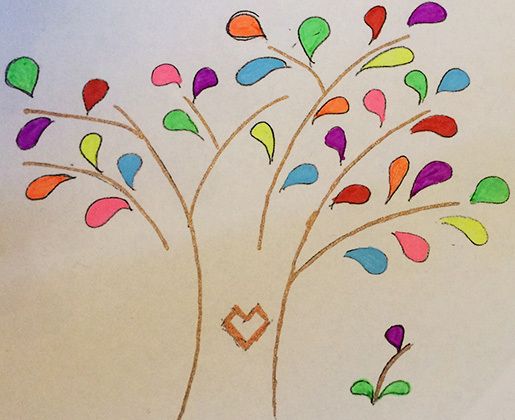 The Resident Council met and discussed what they could do next, so why not have a Cubs party and help out another worthy cause – Water with Blessings. Posters went up around the Home to alert the best customers for these events – staff and volunteers. A sign was placed at the front desk explaining our upcoming Cubs Opening Day celebration, along with issues of Serenity, which highlighted in the cover story the – Water with Blessings project to bring water filters to impoverished communities throughout the world. 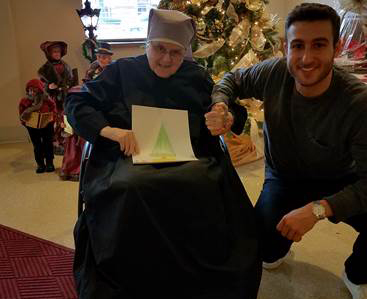 Our friends and visitors were only too happy to help with the fundraiser and to “make the Residents happy.” As Sr. John Elise was able to beg for all of the menu items, the proceeds the Residents were able to raise were pure profit! Activities assistant Rona gets some help from Resident family members daughter Michelle B. and her mother Nancy M.
Vienna Beef Hot Dogs (complete with neon green relish), cotton candy, Cracker Jack (prizes inside not what they used to be), popcorn, lemonade and soda pop were served to almost 100 people. 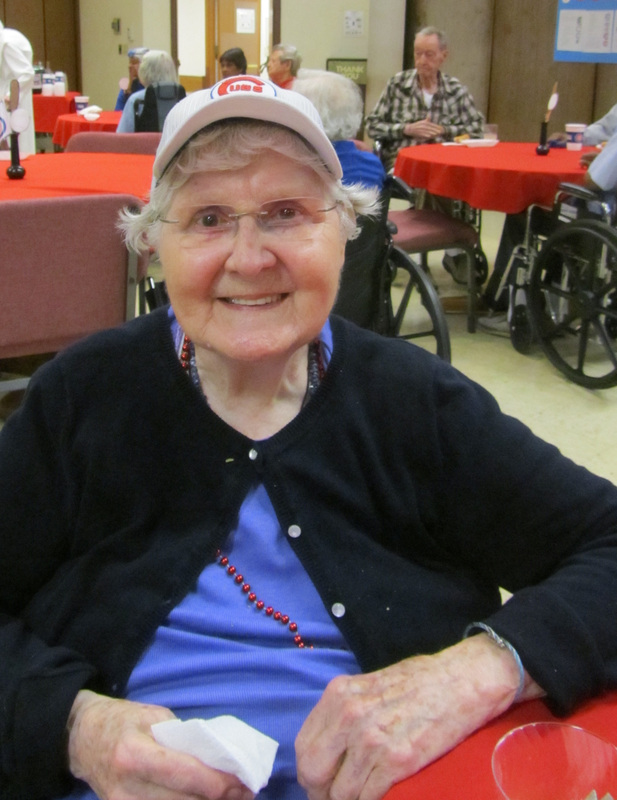 A raffle featuring a Championship World Series baseball cap, a Chicago Cubs fleece throw and a circular Cubs Pennant, all donated by Resident family members, added to the excitement. The final inning of Game 7 of the World Series was played as well as a clip from Dancing with The Stars featuring the debut of David Ross, now retired catcher for the Cubs, dancing to Go Cubs Go! The cheers and singing from our auditorium could have competed with Wrigley Field! 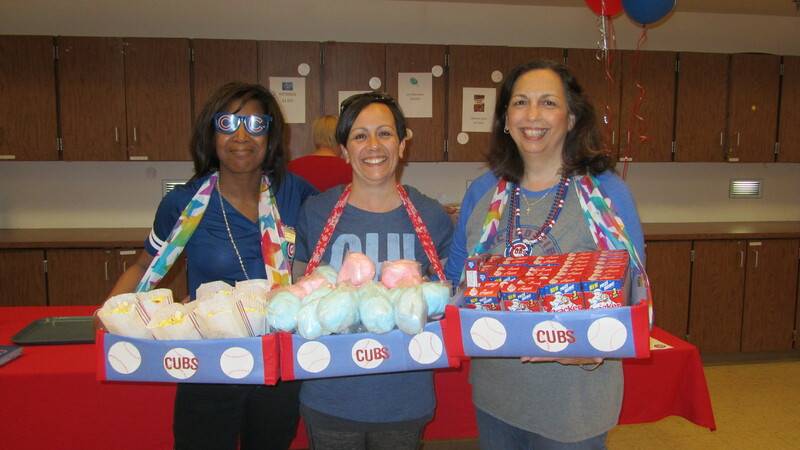 The Cubs won their Home Opener and the Residents were thrilled to know that their own effort to help others was a Big Win, as well raising $1,600 for the Water with Blessings endeavor. Jane’s smile says it all! Copyright © 2018, LSOP Chicago. All Rights Reserved.